Is it possible to make eight eggs sunny-side up without feeling like a short-order cook? You bet. The secret is to bake eggs in the oven. 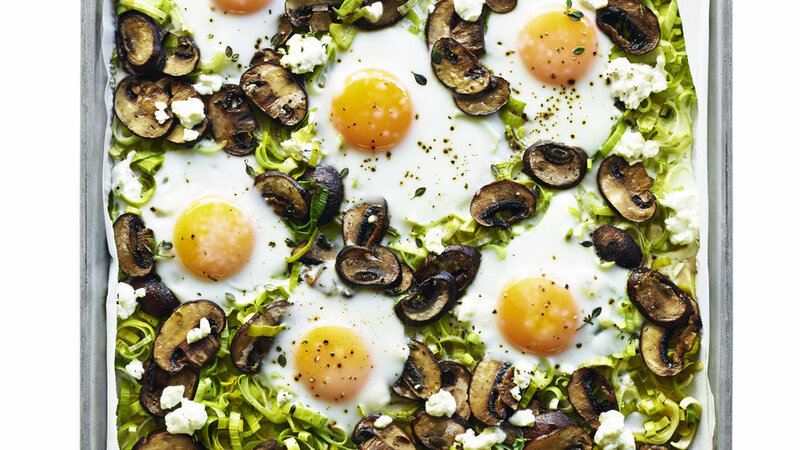 Nestled in mushrooms and leeks, these eggs come with the perfect accompaniment. 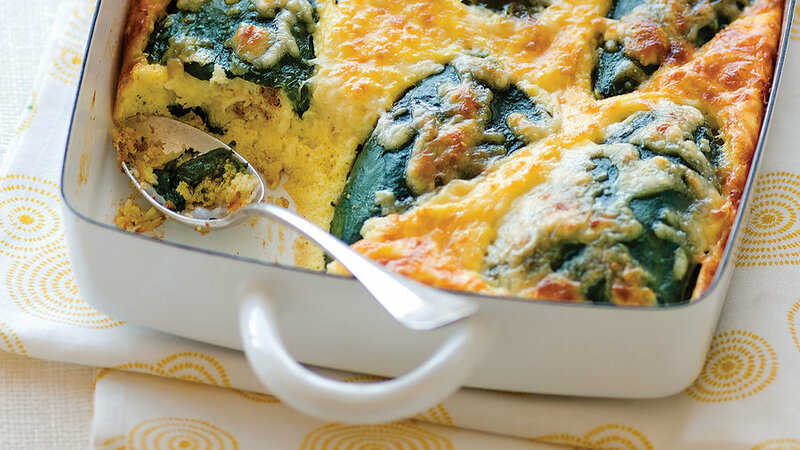 This spicy eggy dish is perfect for breakfast, brunch, or lunch. Assemble the day before and avoid a mad rush in the morning. Rolling enchiladas for a crowd takes too much time, but with this Sunset reader favorite you get the same great taste without all the work. 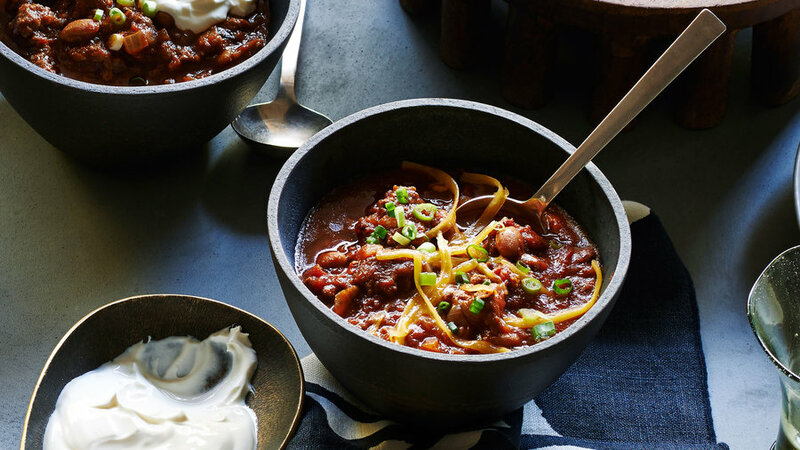 This dish is comfort food at its best. This all-time favorite Sunset recipe can easily be doubled and it freezes well. Get started a week or two ahead of time and freeze several batches for a really large group. 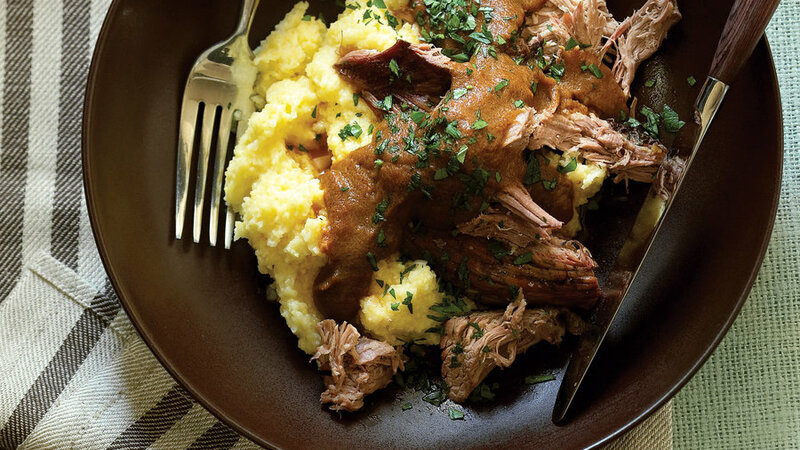 This fork-tender, meaty dish makes serving a crowd easy because it doesn’t require expert carving skills. You simply pull the meat away from the bone with a fork or two and serve. 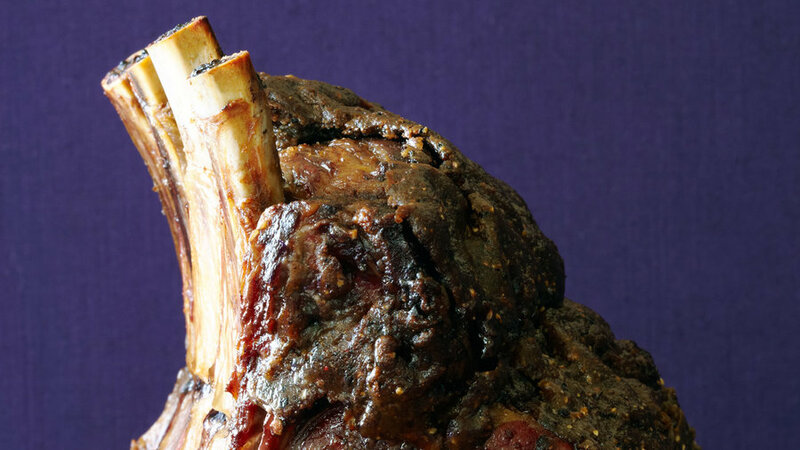 When you’re celebrating something very special, it's a worthy occasion to serve prime rib. This two-step roasting technique makes a perfect prime rib every time. 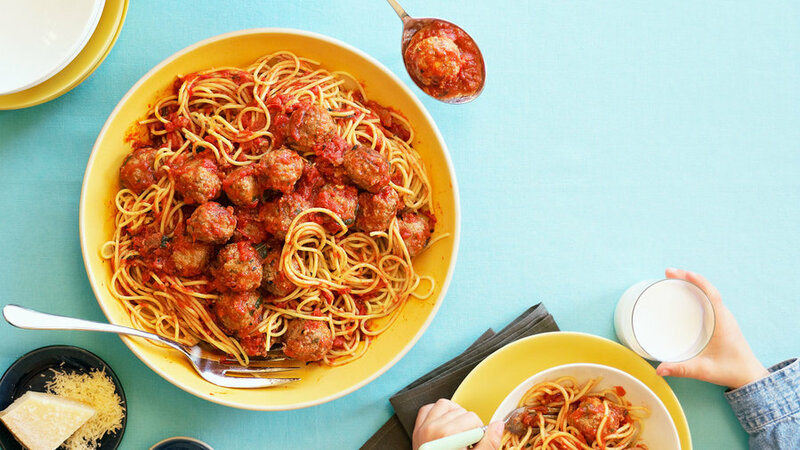 Everybody loves a big platter of spaghetti and meatballs. These meatballs from California chef Mark Peel call for mushrooms and three types of meat for that extra wow factor. They freeze well, so make a batch or two ahead of time and thaw just before the crowd arrives. Next time you need to make sandwiches for a crowd forget pre-sliced bread and buy a whole loaf. Slice it horizontally and treat it like one giant sandwich roll. 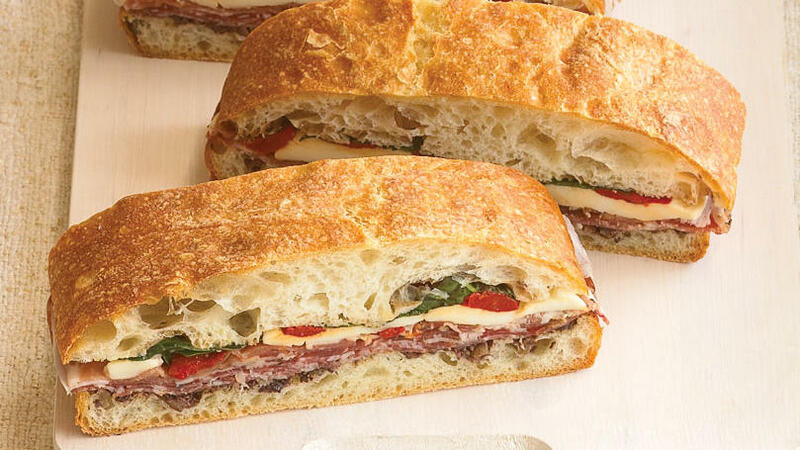 Load it up with Italian meats, cheeses, and spreads and slice it into several servings. 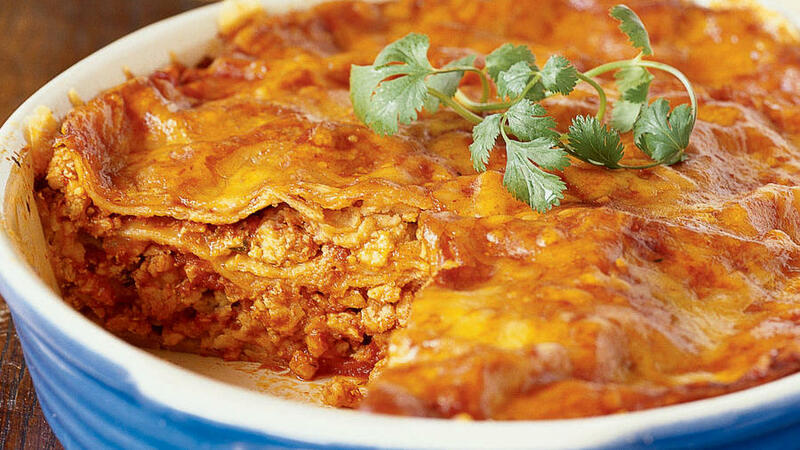 Lasagna is always a great choice when serving a large group and this one is a favorite. Make a day or two ahead and refrigerate until needed. 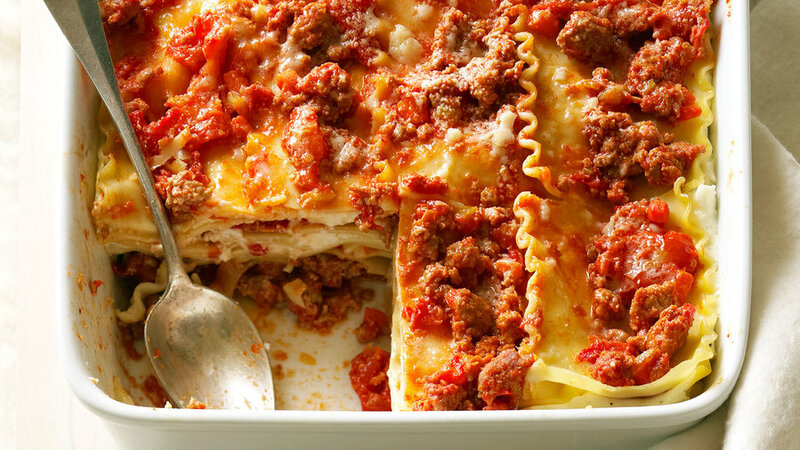 Cold lasagna needs an extra 35 to 45 minutes in the oven. 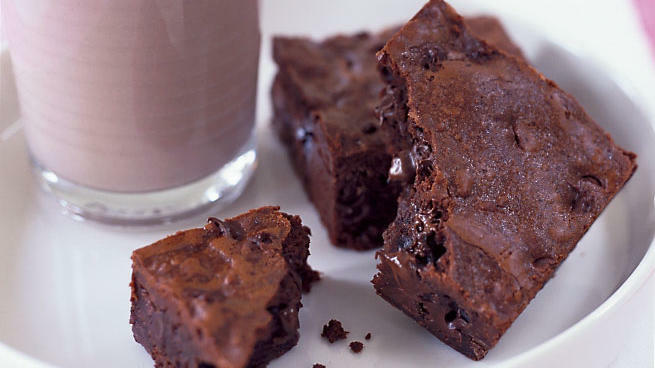 One batch of these fudgy brownies serves sixteen. Make a double or triple batch for a really large group.